Irish digital terrestrial receiver for irelands saorview service. 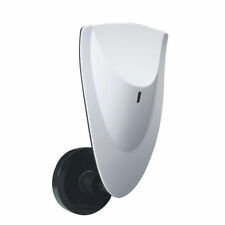 High quality, compact and sleek outdoor mini antenna for Saorview. Compatible with DVB-T/T2, ISDB-T. Aerial is also amplified if required with a wall plug. This aerial is perfect for the likes of caravans, appartments or houses. Latest model of mk4 sky / freesat satellite dish. DESCRIPTION of the Sky / Freesat Satellite Dish ZONE 2 - 60cm. USES of the Sky / Freesat Satellite Dish ZONE 2 - 60cm. Comes with a single lnb. Wideband UHF Aerial, Free Irish TV, Saorview, Outdoor click on the image to enlarge clear. Saorview Digital TV: Yes. DESCRIPTION of a UHF Wideband Aerial. 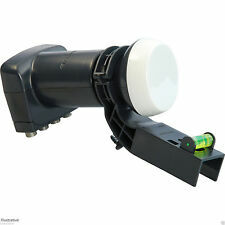 Universal Quad LNB Low Noise 0.1DB Free TV LNB 3D 4K Ultra HD click on the image to enlarge clear. Low/High Band: 0.1 dB. DESCRIPTION of Universal Quad LNB. Universal Quad Titanium LNB. 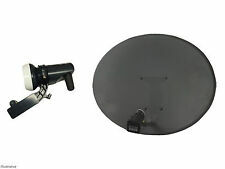 Zone 2 Sky Dish With Quad LNB, Install Kit click on the image to enlarge clear. 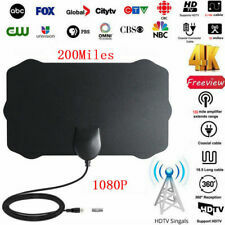 DESCRIPTION of Zone 2 Sky Dish With Quad LNB, Install Kit DESCRIPTION of Sky Satellite Dish. 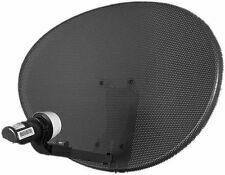 80CM Satellite Dish Sky Freesat Perfect for Seaside Location click on the image to enlarge clear. Ideal for use in Seaside areas as the plastic arm and dish bracket is resistant to corrosion. GENUINE ORIGINAL OPENBOX V8S HD Free sat PVR TV Satellite Receiver Box. Support PVR(store in USB disk); NOT A CLONE , Firmware And Fav. List Upgrade By Internet !!! Dont Buy Cheap Clone Boxes From Some UK Sellers, They Will Bricked Soon. Universal 80Cm Satellite Dish With Wall Mount & Twin LNB/ Installation Kit click on the image to enlarge clear. Plastic Feed Arm & LNB holder. Does NOT include Single or Quad LNB. 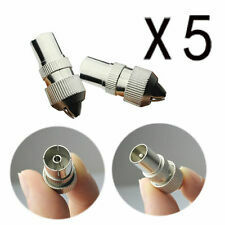 F Connector 100 Pack RG6 Free TV connection Sky Freesat, Free Delivery click on the image to enlarge clear. Suits RG6 Cable - Standard Domestic Satellite & Aerial Cable. DESCRIPTION of F Type Connectors. Black Satellite Cable 100m For Sky Freesat Freeview Saorview Saorsat RG6 High Q click on the image to enlarge clear. Type: RG6 Domestic Coax Cable. DESCRIPTION of 100M Black Satellite Cable. A satellite dish has two main alignment adjustments, the azimuth which is the left to right or east to west position and the other adjustment is the elevation which is the up and down tilt of the dish. Gshare server subscription for Starsat / Géant / Qviart. etc. 12 Months Server Gshare3 Official. info ; to find receiver serial number. 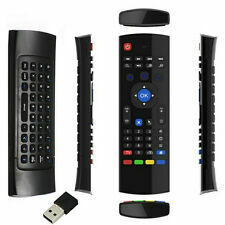 Zgemma STAR 2S Dual Core Satellite Receiver 2xDVB-S2 IPTV LAN Linux Enigma 2 ! Main Features:Low Phase Noise, DVB-S2 (HDTV) compliant. DESCRIPTION of Inverto Twin Flange LNB. Specifically designed for the European DTH markets, this LNB provides optimized reception capabilities. Saorview UHF Meter & Satellite Finder, Free TV Signal Finder Irish & UK stations click on the image to enlarge clear. DESCRIPTION of Sky / Freesat Quad LNB. USES of Sky / Freesat Quad LNB. Note: If the Quad LNB is required for a dish installed before June 2009 you will also need to purchase a Sky Legacy MK4 to MK3 LNB adaptor. Description of Revez Q12 HD Combo Receiver. 1 x Revez Q12 HD Combo. 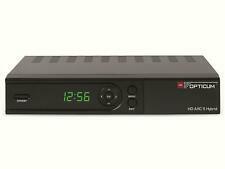 Features:DVB-S/DVB-S2 Satellite Compliant (MPEG-II/ MPEG-IV/ H.264) Multi satellite search,network search, manual search.